With a massive 28.000 plug-ins sold in December, the global market for electric cars continues to grow at a healthy rate, ending the year with more than 210.0000 units, with record sales from several models, like the Leaf (4.960 units), Outlander PHEV (6.887 units! ), Volvo V60 Plug-In (2.004) or the Tesla Model S (2.803). Looking at the full year ranking, the first position was for the Nissan Leaf with a record 47.549 units, followed by the Chevy Volt (28.252). In #3 the Prius Plug-In finally won over Tesla's Model S, with a difference of just 989 units between them. Behind them we see the #5 Outlander PHEV, running at warp speed and being the only model to give Nissan a run for its money on the monthly ranking. This particular fight will go on in 2014, making the race for the Best Selling EV just a bit more interesting. In Seventh YTD, the Volvo V60 Plug-In achieved yet another record in December, being with the Outlander the two biggest surprises of the year. Because this is a full year edition, the ranking includes cars from #11 to #20, where we can see some interesting facts, like the Smart Fortwo ED in #13 and looking for a Top 10 position in '14, just like the #20 BMW i3, that has been slowly increasing sales. The e-Up! will surely feature in the Top 10, with strong initial sales (#8 in December) and still expanding to new markets. In the Manufacturers ranking, Mitsubishi is going from strength to strength, selling a record 7.042 units, climbing again and ending the year in #3. Above it we've got Nissan in #1 with 23% share, followed from a far by #2 Chevrolet with 14% share. Tesla ended in #5 with 11% share, surpassed by Mitsubishi in December, but comfortably ahead of a troubled #6 Renault and a steady #7 Ford. Looking below the #10 Smart, we assist two rising powers: VW in #13 and BMW in #14, both of them with Top 10 ambitions in 2014. Looking at the models ranking, the Nissan Leaf won the Best Selling EV title in Japan, repeating the 2011 title, but next year it will have to deal with the Outlander PHEV, ending the year on a strong note. After many solicitations asking for this post, i've decided to publish a draft with the current data. 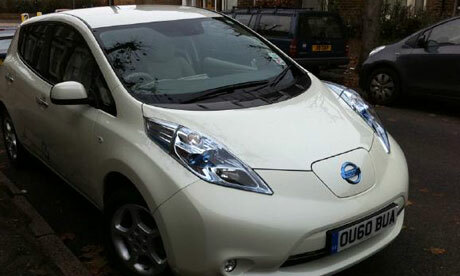 3.739 plug-ins were sold in the United Kingdom, a 26% over last year with the #1 Nissan Leaf carrying the bulk of the sales, with 1.812 units sold, almost three times more(!) than it did last year, you can say that the "Sunderland" factor did its magic here. The rest of the podium is the same as last year, with #2 for the Prius Plug-In, followed by the Vauxhall Ampera, that keeps its third spot but it's threatened by the Renault Zoe, in #4, and the Volvo V60 Plug-In, in#5 . Many newcomers at the second half of the ranking, with the BMW i3 being the one to watch for in 2014, probably going for the podium in the in end of '14. Speaking of the future, Volvo, with the V60 Plug-In, and Mitsubishi, with the Outlander PHEV, are strong candidates at the podium, just like the aforementioned BMW i3, pressuring both Renault and Toyota, while Nissan will keep on growing without caring on what goes behind it. All this must push sales to some 5.000 units/year. * 90-110.000 sales for the US EV market - 96.034 units, comfortably within the prediction boundaries. *14-16.000 sales for the French EV Market - 14.905 sales, right in the middle of the prediction boundaries. * 10.000 sales for the German EV Market - 6.714 sales, well behind expectations. Miss. 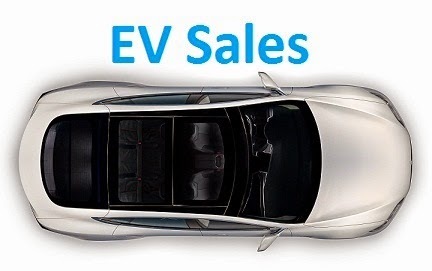 * 9.000 units sold in the Dutch EV market - 23.170 sales, 9.311 of them in December. Who would of thought? 200.000 units - Still with data coming in, the number already exceeds 208.000, so 2013 was a good year for plug-ins. EV Share is important, but even more fundamental is the volume increase, and in this case we had the USA as the main contributor, with more 41.084 units sold regarding 2012, the Netherlands, with more 17.587 sales, and...China, even with a miserable 0,08% EV Share, what matters here is volume and 0,08% of 22 million cars is still a lot of cars, and plug-ins sold more 4.851 regarding last year. Examining this, we can see North America as a Volt stronghold, the Leaf stealing trophies from the I-Miev, the Outlander and V60 doing the same at the Prius, the Zoe cannibalizing #1's in Central Europe and the Twizy resisting extinction in the south of the continent. Israel: Renault Fluence ZE - 436 units; Nissan Leaf (24). Czech Republic: Nissan Leaf - 16 units; Peugeot iOn (8); Citröen C-Zero (6); BMW i3 (3); Opel Ampera (2); Fisker Karma (1); Porsche Panamera Plug-In (1). Poland: Nissan Leaf - 15 units; Opel Ampera (5); Tesla Model S (4); BMW i3 (4); Renault Zoe (2); Renault Twizy (2); Smart Fortwo ED (1). Romania: Renault Fluence ZE - 28 units; Citröen C-Zero (2); Nissan Leaf (1); Toyota Prius Plug-In (1); Tesla Model S (1). Bulgaria: Renault Twizy - 14 units. Russia: Mitsubishi I-Miev - 70 units. Morocco: Renault Twizy - 7 units. Mexico: Nissan Leaf - 73 units. Another month, another sales record, with 14.057 units sold, making this the fifth straight month of growth for the European EV market, but these are deceiving numbers, because they are highly influenced by the last freak months in the Netherlands. If we discard those sales, we see more usual numbers (4.748 sales), but still 85% above last December, so yes, europeans are more into plug-ins, but unlike the Dutch, they are not feverishly rushing into dealerships to buy EV's...Anyway, the 67.000 plug-ins sold in 2013 represents a 51% rise over last year, positive numbers indeed. But changes in this dynamic market didn't stopped there, the Model S rose to #7, the Opel Ampera benefited from the dutch fever to climb two positions into #8 (But last year it was #2...), the VW e-Up! jumped six positions to #11 (VW, if doesn't get greedy, might have a winner here), beating the BMW i3 (Up one position to #12) in their private duel. Looking at the brands ranking, Renault is still #1, with 27% Share (Last year it was 37%), followed by Nissan (16%) and Mitsubishi (14%). Guessing for the '14 trends, discarding possible freak events, we will see sales reach some 60-70.000 units, with Mitsubishi headlining VW, Tesla and Volvo as the new contenders for the best selling title, and Renault and Nissan trying to stay ahead of all that competition. One thing is for certain, if the last few months were entertaining in the Europe ranking, 2014 promises to be even more interesting to follow. We all now it's hard to get accurate data from the chinese EV market, but after getting some data about this market, i can now give a approximate ranking of the fourth largest plug-in market in the World. Sales mounted to 17.642 units in 2013, which represented a 38% increase over the last year, when sales reached 12.791 units. Based on certified data and past performances, the presumed Top 5 almost exactly like last years ranking, with the only change being the rise of the BAIC E150 EV to #5. The Chery QQ3 EV kept its #1 by a great margin, selling roughly the same as last year, followed by the JAC J3 EV in #2, which also sold almost the same as in '12. Next we have the BYD offerings, with the e6 in third with 1.544 sales and the now-deceased F3 DM in #4, with 1.005 units. The only change is in #5, where the BAIC E150 EV profited from a bad performance from Zotye TD100 EV, to climb one position and feature on this Top 5. By brands, Chery keeps on dominating the ranking with 28% share, followed by BYD with 15% and JAC with 14%. Trying to see the future in the tea leaves, i guess that the new BYD baby, the Qin, will finally dethrone Chery from the pedestal, BYD predicts 2.000 sales/month, but if they can get half of that it would a good performance and also enough to win the Best Seller title. 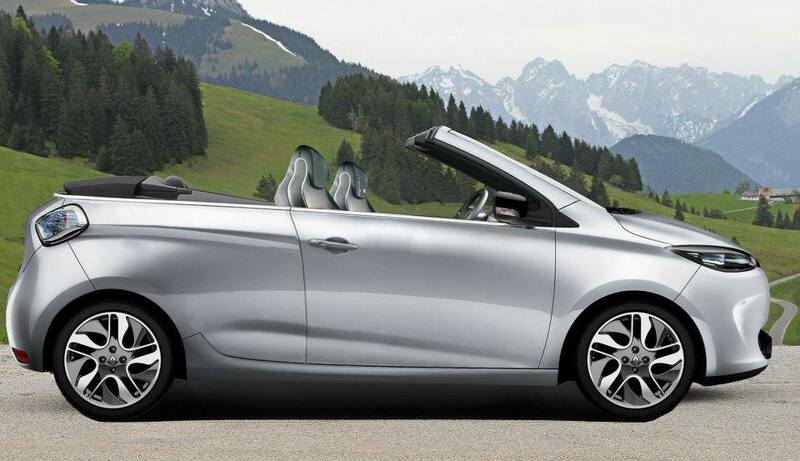 Also of interest, the new Venucia e30 / Morning Wind (Morning what?!?) will have a word to say here, but with Nissan/Venucia predicting yearly sales of just 1.000 units, it can only aspire to feature on the Top 5 ranking, without disturbing Chery or BYD. As for foreign brands, even if they venture into selling EV's in China (And they will) the numbers should only be enough to aspire at the lower place in the podium. With all this taken into account, i see sales reach some 25.000 units at the end of 2014, still not the boom people expect, but a steady growth nevertheless. Renault expected a lot from its electric supermini, especially in its homemarket, and sales in the first semester were ok, selling 3.594 units, but then summer came and while other started to see sales increase (*Cough*,Nissan Leaf,*Cough*), Zoe sales started to go down, losing monthly #1's (August, September, November, December) to its older, more utilitarian brother, the Kangoo ZE. Anyway, despite that terrible second semester, the Zoe won the Best Selling EV in France with 5.511 units, followed by the rockhard Kangoo ZE (4.174 units) and in #3 the Nissan Leaf (1.438 units) sales are improving ant it's looking to fight with its french cousins for #1 in 2014. The Smart Fortwo ED also ended the year on a high note, selling 130 units in December, promising good things for the future. Looking at the market as whole, the french plug-in market grew 26% to 14.905 units, making an EV Share of 0,83%. Finally, looking at PHEV's, the Prius Plug-In won the Best Selling Plug-In Hybrid title, with 393 units, followed closely (241 units) by the V60 Plug-In by Volvo and in third we have the Porsche (!) Panamera S E-Hybrid (Aka Plug-In), with 90 units, more than the sales of the GM twins (Ampera and Volt) combined...And incidentally, more than the Model S from Tesla, making France one of the few markets where the Panamera Plug-In outran the Californian Electric Star.